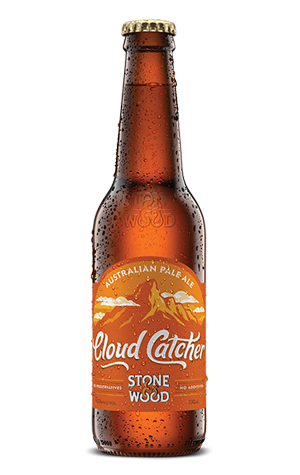 To mark the opening of their second brewery in the Northern Rivers region of NSW (and presumably also marking the sense of relief that comes with being able to supply Pacific Ale to the many who've been craving it), Stone & Wood created a new beer. Taking its name from the Aboriginal name for Mt Warning, which stands over the new site in Murwillumbah, it's as much a celebration of what the brewery stands for too. In other words, it's bright and balanced and comes chockfull of Aussie hops. It wouldn't have been right if they'd marked the occasion without using the Galaxy hop that their Pacific Ale has done more than anything else to popularise, and its distinct passionfruit aromas are prominent. To that they've added heaps of newer variety Ella (formerly Stella), a hop that has its creators equally excited and, if anything, offers more depth than its predecessor. It adds apricot to the tropical fruit salad mix while, at 5.5 percent ABV, the beer is a full-bodied affair too. You could look at it as Pacific Ale on steroids, but there's a bit more going on than that. Initially released as a one-off, demand saw it brought back on occasion before it become a fully fledged, year round brew. And, as winter 2018 drew to a close, the pale ale made the move to 330ml bottles.